Two fast-growing tech startups based in Ontario launched new, unique approaches to recruiting talent this past week – one created its own “Sales University,” the other launched a careers page that applies to you. Canadian tech entrepreneurs looking to grow their companies beyond about 200 seats and into the enterprise range have long bemoaned the lack of veteran sales talent available to help them do so. According to a survey released Feb. 7 by the Canadian Professional Sales Association (CPSA), the situation isn’t about to improve. Its general thrust is that formal sales training in Canada is lacking. Forty per cent of sales teams have received no formal training over the past 12 months, it reports, and sales managers under 34 are the keenest for training. Also released in February is a Randstad report showing that sales representative is the second most in-demand job in Canada. In particular, business-to-business salespeople are in demand. Top Hat CEO Mike Silagadze is putting its new sales recruits through a two-year development program. 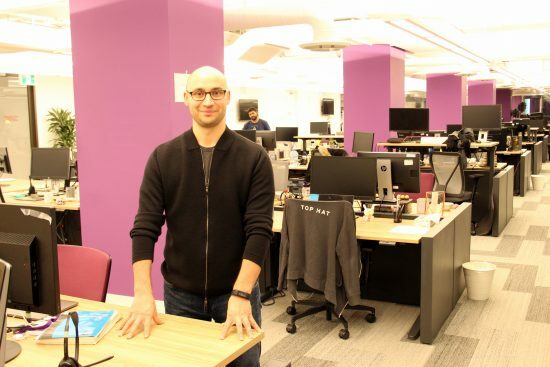 At education software firm Top Hat, CEO Mike Silagadze taking a proactive approach and plans to develop his own sales talent. Its freshly-launched Sales University onboards new hires to a two-year curriculum of intensive development, ending with a certification from the firm and two months of paid leave on a sabbatical. It comes just as Top Hat settles into its new, five-story Toronto headquarters, with plans to hire 200 this year. “One of the biggest challenges that we found is that people are not sufficiently trained in what a career in sales looks like and not sufficiently trained in sales skills,” Silagadze says. He has a thesis about why that might be, and it’s one that other entrepreneurs in the Canadian tech eco-system have expressed. Companies like Google and Microsoft set up offices in Toronto and hire salespeople, but once the best talent rises to the top, they are beamed back to the Mother Ship in Silicon Valley. In short, Canada’s tech scene suffers from being a branch plant economy. 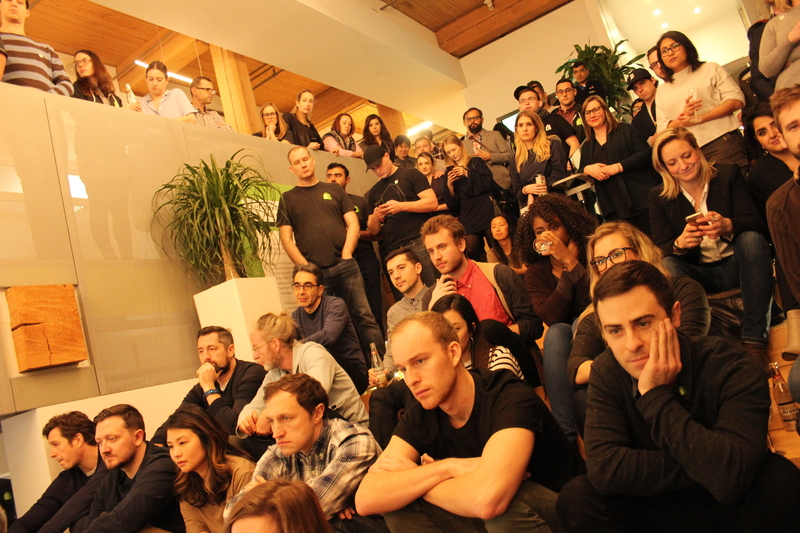 Shopify employees gather at the R&D office in Toronto. At Ottawa-based Shopify, which also has offices in Toronto, the recruitment effort is even more ambitious with plans to hire 500 this year. This past week, Shopify re-launched its careers page with a twist. It says that it’s applying to potential candidates. Shopify says it’s been able to hire great sales talent, many of which are based in Waterloo, Ont., by including ongoing training and support from its leadership team. 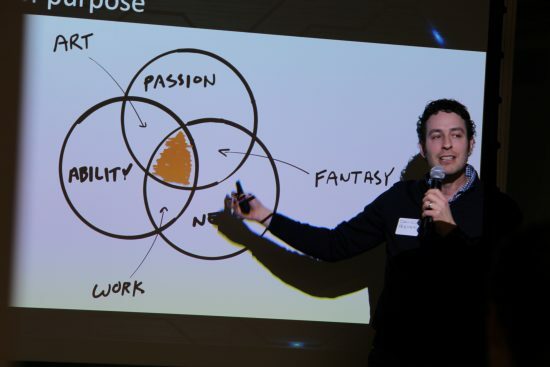 Top Hat’s new Sales University program is taking support to a whole new level. The new hires don’t have to pay tuition – they get paid salary similar to any other new hire – but they do have to endure a grueling classroom and in-field development program. The first two weeks is a very heavy in-class experience, explains Naseem Saloojee, senior vice-president of sales at Top Hat. That’s followed by four weeks of more time spent on the job, but still with a significant portion of in-class time. Up until the one-year mark, the sales rep is considered in a “ramping” phase with lower sales quotas to hit. They also receive extra coaching and development along the way. Of course, the Sales University features an impressive lineup of ‘sales professors’ that include Shannon Hamilton, Top Hat’s vice-president of inside sales; Jens Hutzschenreuter, a co-founder of Groupon; and David Priemer, who formed the Sales Leadership Academy during his stint as a Salesforce executive. Those who do make the cut and survive the two-year commitment are rewarded with a two-month sabbatical, during which Top Hat pays their full salary. For an industry that’s making an effort to improve diversity, the sales department might prove an opportunity to do just that. The CPSA report shows that an increasing number of women and non-Caucasians are joining sales teams. Lambert says that diversity is an important part of building teams at Shopify. At Top Hat, hiring more women is a priority. Saloojee says that more of its sales managers are women, and that it wants to see the balance of its sales representative staff mirror that. But it’s not putting a quota in place for this. “If you get the input ratios right, if you’re interviewing the right number of women and you eliminate biases in your hiring process, then you will hire as many women as you do men,” he says. So how does he remove bias? Saloojee says he reviews the notes from the interviews without knowing the name or the gender of the applicant. That allows him to focus on just the applicant’s qualifications and achievements. Now that’s a unique approach.